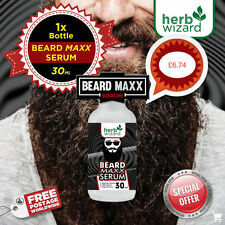 100% Natural Herb Serum created for your Beard, Moustache, Sideburn and Eyebrows. FACIAL HAIR GROWTH SERUM Ginseng Herbal GROW MUSTACHE BEARD SIDEBURNS EYEBROWS BUY 2 GET 1 FREE JUST ORDER 2 AND WE SEND 3 . Make your hair black in 5 minutes Newest formula of pure ginger bring back a completely new different experience for hair. Natural Ginger extract,Collagen,and ginkgo biloba essence help to strong the hair fibers from inside to out. After washing the hair will be more shiny ,soft and smooth, good for preventing losting hair, and repair the hair from root. Special formula easily dye white, gray and yellow color hair,100% ammonia free, no Pungent odor, no harmful hair, no plumbum, non-stick skin and cloth. Full pigment factor cover the white hair perfectly, brink back a full natural black hair. Ginger Black Hair Shampoo non allergic hair dye New coloring black hair, you won't use any coloring chemicals which contain ammonia that can harm your hair. 15x Large hair curlers. 15x Small hair curlers. Silicone Scalp Shampoo Massage Brush Washing Massager Shower Head Hair Comb. Easy way to curl your hair. After hair washing, dry your hair with towel until there are no water drop. Furthermore, sevich nozzle can reuse, 1 month canned with 2.5 month canned all can, also use way pretty simple, will the nozzle set in the sevich fiber surface . while saving inequality because of spraying caused by fiber waste . Apply to wet hair, massage, and leave on for 1-5 minutes, lather and rinse. Use gloves to prevent staining hands. It gradually darkens grey or white through light brown, dark brown and to black if desired. Regular use of Restoria Discreet prevents grey roots reappearing. NICOTINIC ACID. Consist : Water, Nicotinic acid 10 mg / ml, sodium hydrogen carbonate. STIMULANT GROWTH & STRENGTH HAIR. - Prevents hair loss by strengthening the roots and preventing the collagen from sealing around the roots of the hair;. Just use it instead of your usual shampoo until you like what you see. Then use it in rotation with your usual shampoo to maintain the look you like. Continue to use it until you reach your desired level of grey reduction (generally within 2 to 4 weeks). UNIQUE COMBINATION OF KEY ACTIVE INGREDIENTS THAT WORK! Ultra-Hold adhesive has a great super bond and is an excellent lace wig glue! Your privacy is our priority. Before going to bed in the night, put the oil in a small open mouthed container. The quantity of the oil should be in proportion to the length and density of your hair. Apply oil on the tip of your fingers and rub it gently on the scalp of your hair enabling it to penetrate in to the roots of your hair. Net: 200ml. Type: Anti-hair Loss Shampoo. 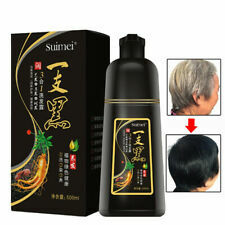 Hair Shampoo Usage Take out the anti-hair loss shampoo and apply on your scalp and rub it to get rich foam. Rinse with water,wash out the foam. Massage the hair root and scalp for 2-3 minutes with your finger in order to clean the hair pore. Every 100 ml shampoo, Add 3 ~ 6 ml, Stir well. Item Type: Herbal Hair Growth Essence. 1 X Herbal Hair Growth Essence. Repair hair follicles, stable solid hair roots. Reduce hair bifurcation. Product Specifications: 30ml / bottle. Direct protein feed to porous hair, creating artificial cuticle. How to use. Nutty sharebutter fragrance 3. Feeling high-nutrition with ivory color mayonnaise texture cream type. Placo Placenta lotion heals brittle, weak hair with a tendency to break and fall out. PLACENTA PLACO FOR HAIR. Application: washed and dried hair, apply the right amount of preparation, massage into hair and scalp until fully absorbed. Cantu Shea Butter for Natural Hair/ Full range !!! SPECIAL OFFER !! !